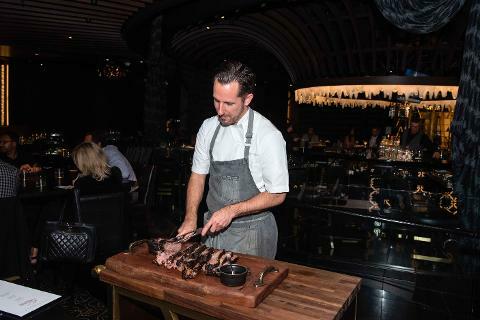 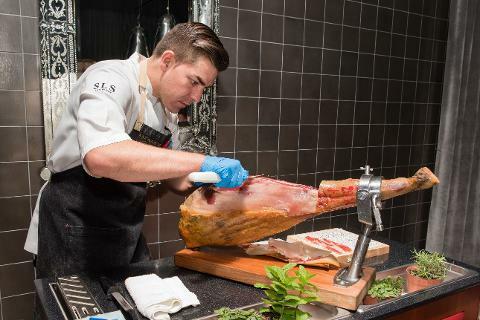 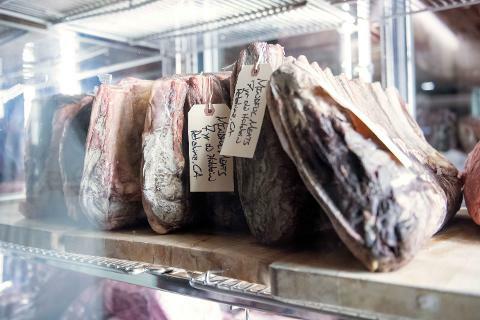 Experience Vegas’ most preeminent steakhouses in one outing. 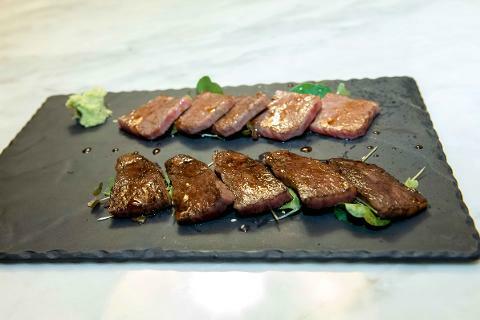 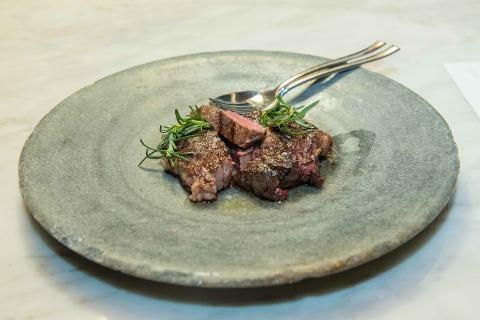 Enjoy their most original, acclaimed dishes not found anywhere else. 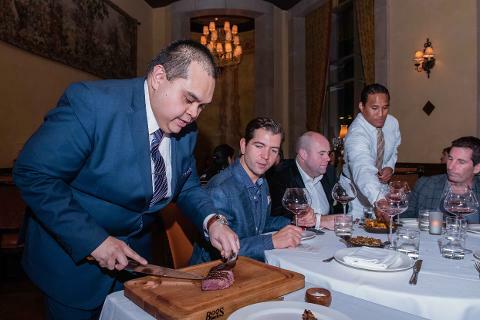 Sip an exclusive wine pairing at every stop culled from elite producers’ top-rated vintages. 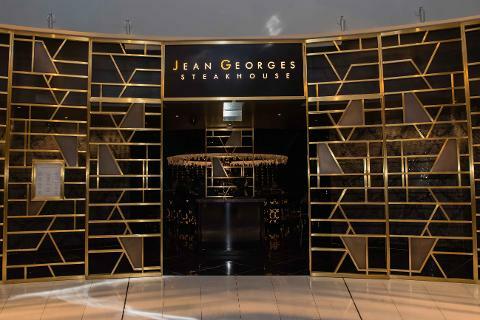 Receive VIP service with immediate seating at the best table in the house. 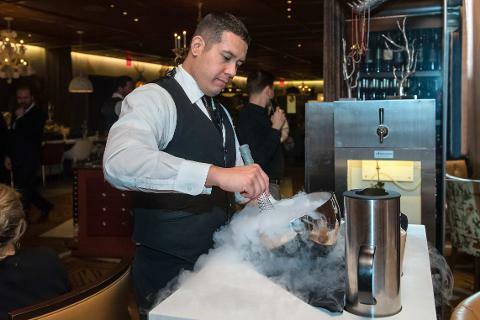 Enjoy a different, one-of-a-kind dining experience at each venue. 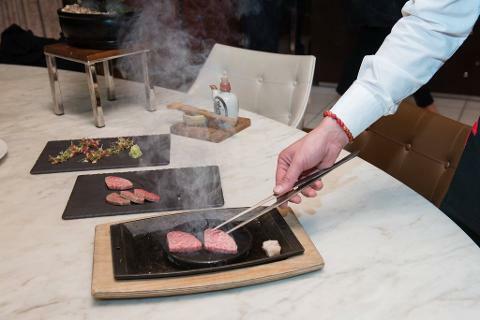 Be entertained by tableside service as chefs carve, garnish and plate dishes before you, as they explain each preparation. 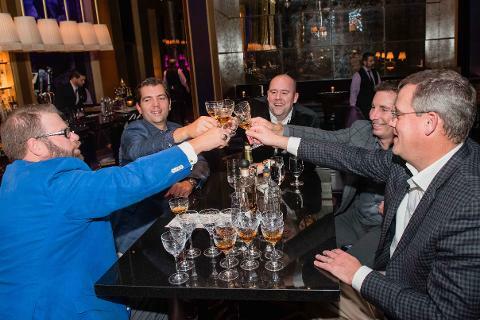 Learn fascinating history and anecdotes about Vegas along the way from your expert tour guide. 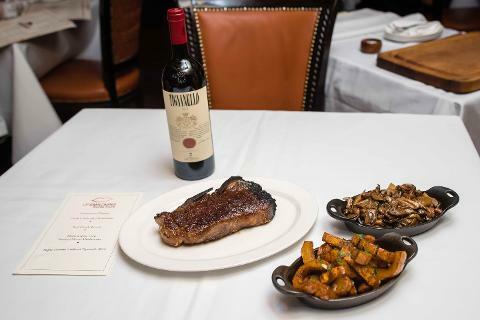 Be pampered with your own private luxury transportation. 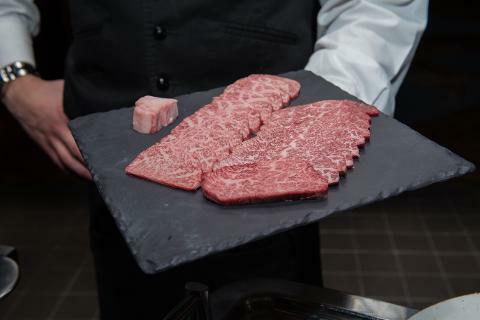 Indulge in juicy USDA prime, the king of American beef, as well as extraordinarily marbled A5, the highest grade of Japanese Wagyu available. 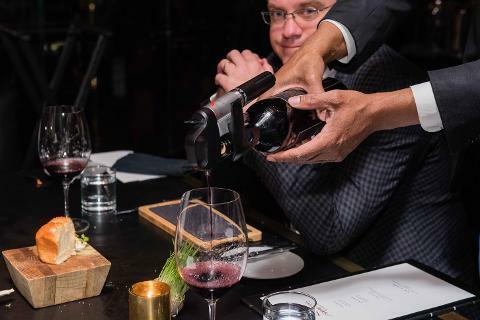 Sip exceptional wines poured with the state-of-the-art Coravin preservation system, as steaks are carved and plated before you. 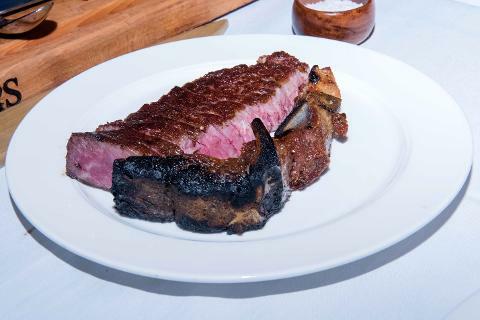 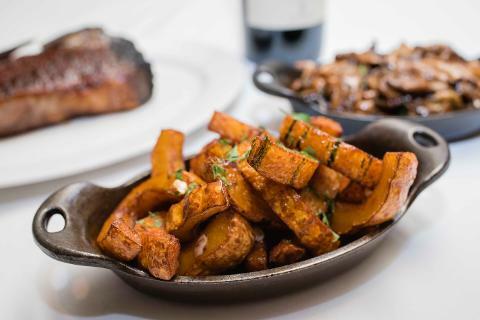 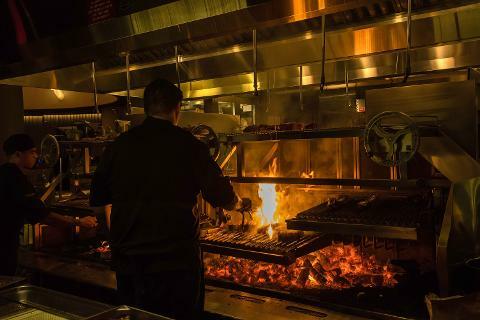 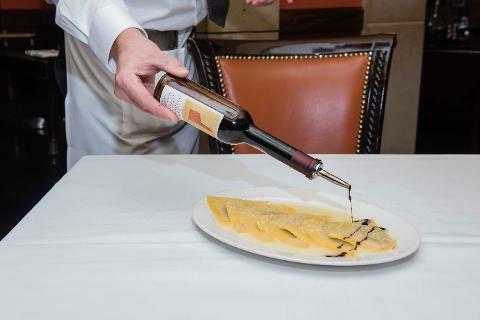 Be treated as a VIP at three of the most celebrated steakhouses in Vegas. 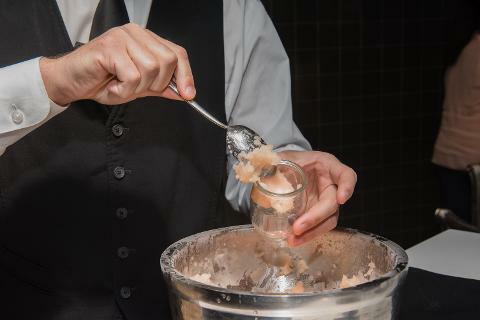 Enjoy it all — in one spectacular evening. 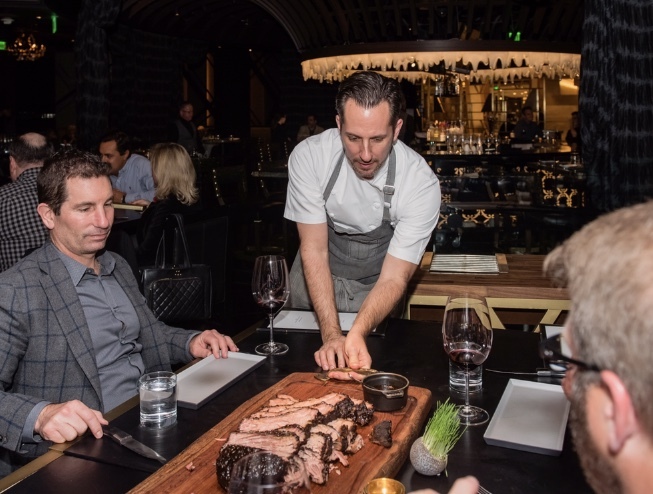 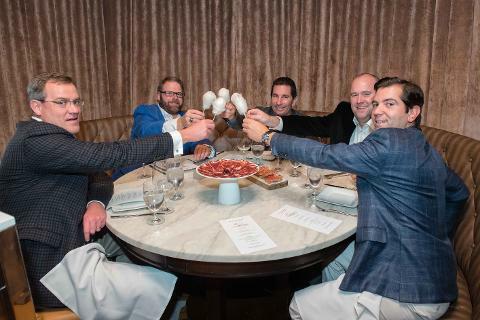 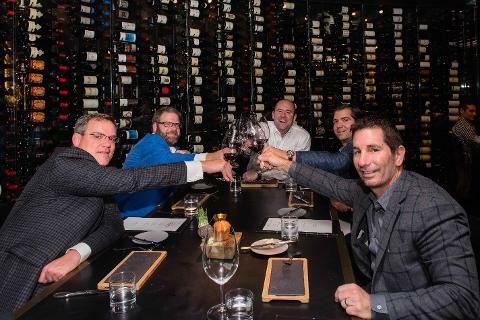 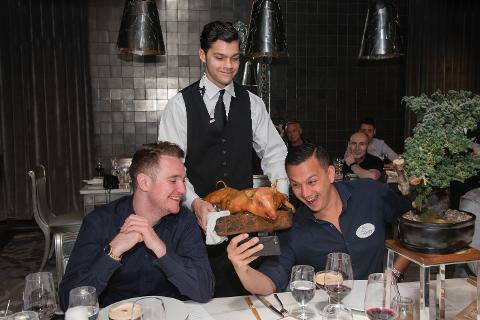 Connoisseurs can now experience the ultimate steakhouse extravaganza in Vegas, thanks to Lip Smacking Foodie Tours. 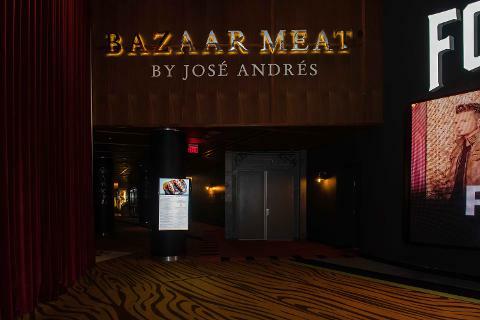 This plush, high-rollers tour, characterized by personalized service and unforgettable showmanship, will take you to three premier venues: Bazaar Meat, the sleek establishment in the SLS Hotel by world-renowned Chef Jose Andres, which was named “Best Restaurant in Nevada’’ by Business Insiderand one of the “Top 5’’ steakhouses in America by Fox News; Jean Georges Steakhouse in the Aria resort by the legendary French Chef Jean-Georges Vongerichten, which was honored as one of the “Top 5” steakhouses in Las Vegas by Haute Living; and the newest sensation off the Strip at the Palms, Scotch 80 Prime, where tableside service is taken to a stellar new level amid priceless artwork by contemporary masters. 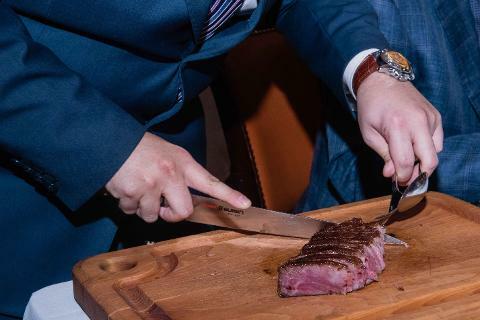 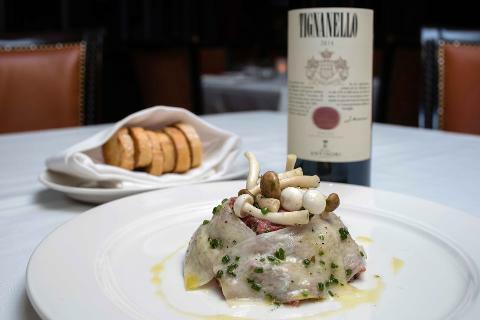 At each glamorous rendezvous, you’ll enjoy signature dishes that are the most prized in the city, each explained in detail at the table by the chef, and served with a rare wine chosen just for the occasion. 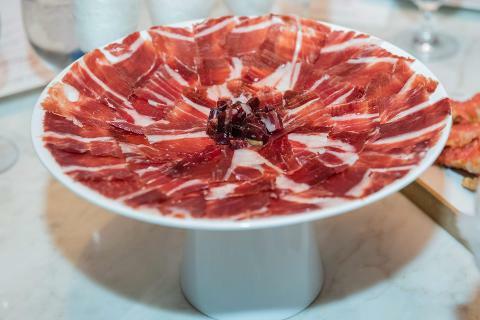 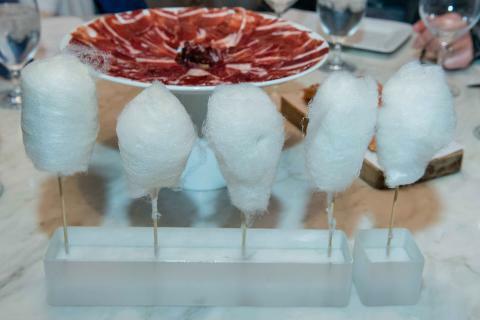 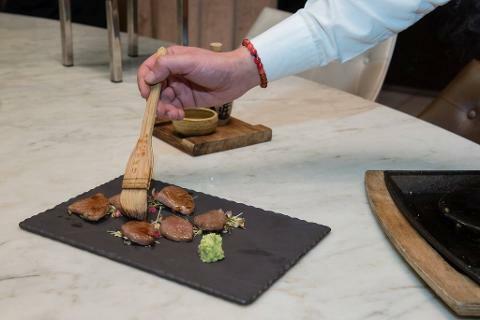 At Bazaar Meat, the fun begins with foie gras lollipops enveloped in wisps of cotton candy, before proceeding to Jamón Ibérico de Bellota, hand-cut, paper-thin slices of Spain’s famed black-footed Spanish pig, whose meat is extra buttery from a diet of wild acorns; A5 Kobe eye of the rib seared at the table on a blazing Japanese ishiyaki grilling stone; and “Vaca Vieja’’ rib eye from an 8-year-old California cow matured for greater pronounced flavor. 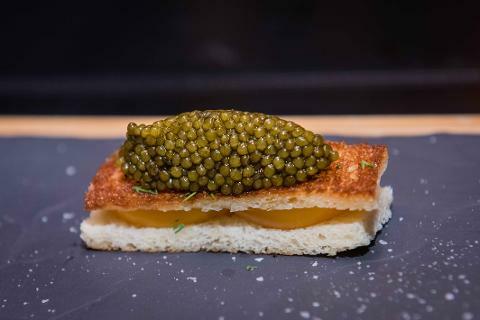 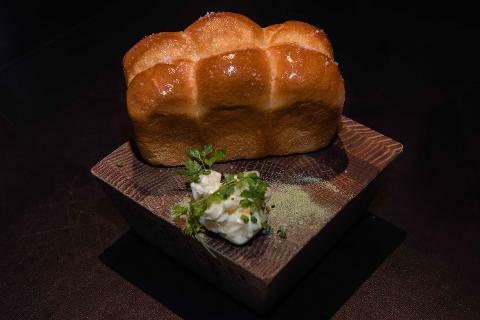 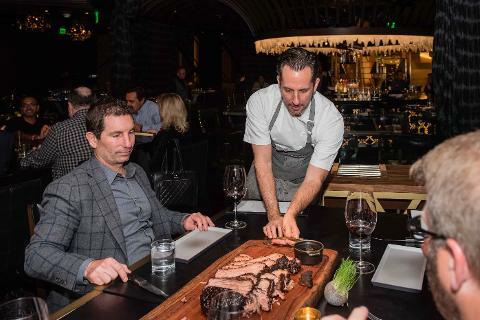 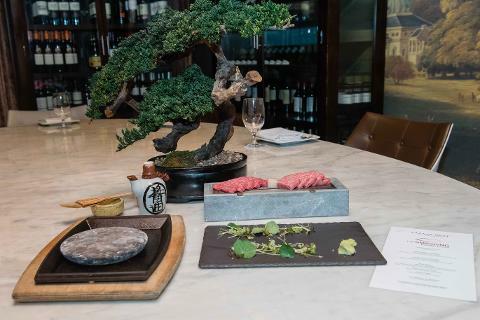 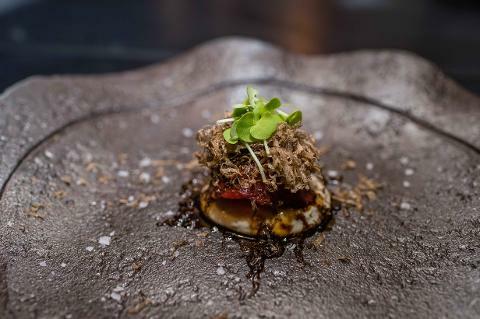 At Jean Georges Steakhouse, the tone is set with luxurious golden osetra toasts, followed by a massive smoked, black pepper-lacquered Wagyu brisket from California’s lauded Mishima Ranch, which raises full-blood Black Wagyu that are long-fed for up to 500 days for extra marbling. 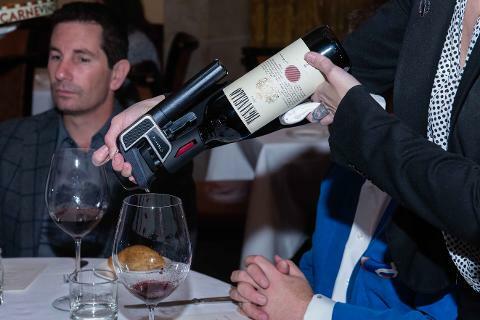 It’s paired with Darioush Signature Cabernet Sauvignon 2013 Napa Valley, a 93-point wine full of decadent berry, espresso and anise notes. 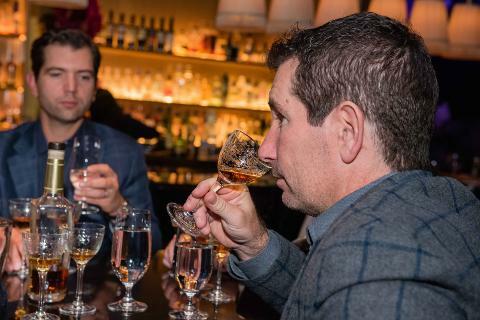 At Scotch 80 Prime -- named for the historic Scotch 80s neighborhood once home to casino titans and classic star entertainers – no attention to detail has been spared, from the dedicated $3 million whiskey program that boasts one of the largest retail collections of Macallan rare vintages around to the breathtaking interior done up with works by Andy Warhol, Damien Hirst, Jean-Michel Basquiat, and Bronx graffiti artist John “Crash’’ Matos. 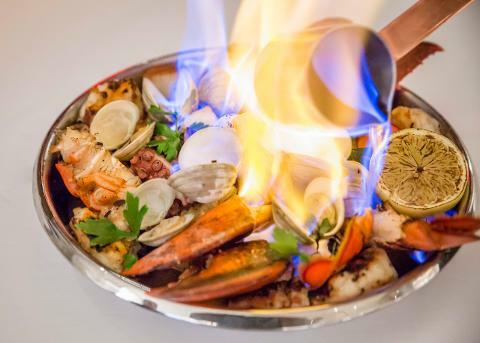 Equally attention-grabbing is the signature Mesquite Fired Crustacean Tower, piled high with Maine lobster, white shrimp, Spanish octopus, Alaskan King crab, and more that gets flambéed right at the table. 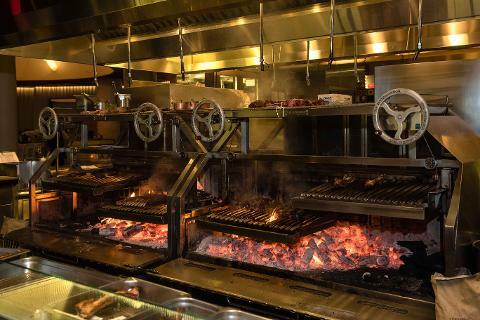 This is a place that knows how to prepare a 42-ounce Tomahawk Ribeye (bone-in, then sliced) to perfection. 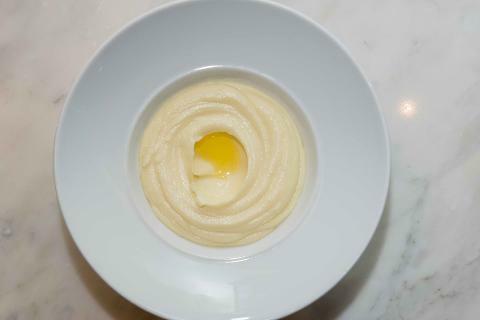 It’s accompanied by Old School Creamed Corn as wonderfully nostalgic as it sounds. 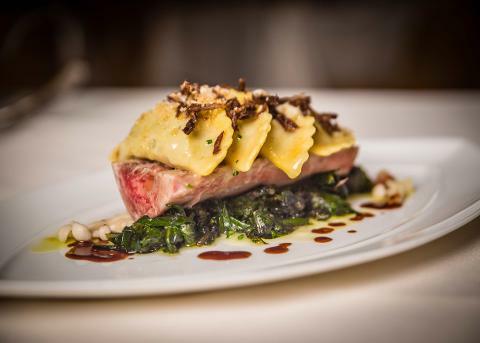 There’s also Ribeye Ravioli served with roasted bone marrow and jerky that’s Scotch-rubbed, of course. 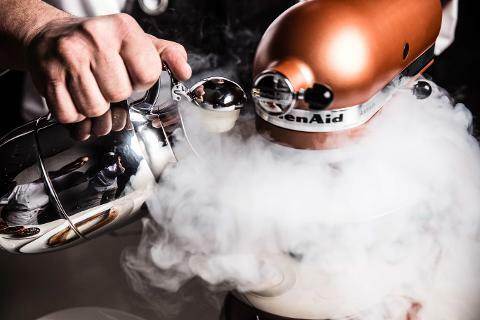 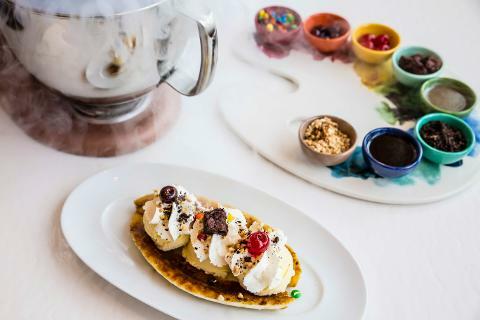 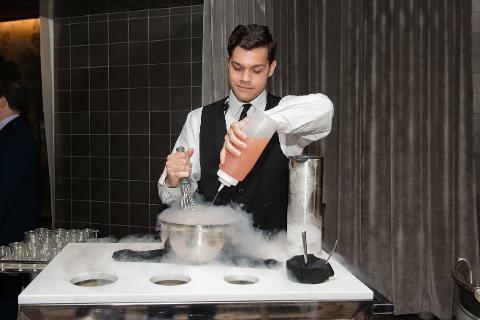 The unforgettable grand finale to the dinner and the tour is the tableside Fire & Ice Banana Split, a showstopper of hand-churned vanilla ice cream with all the fun toppings, including the crowning touch of hand-torched caramelized bananas. 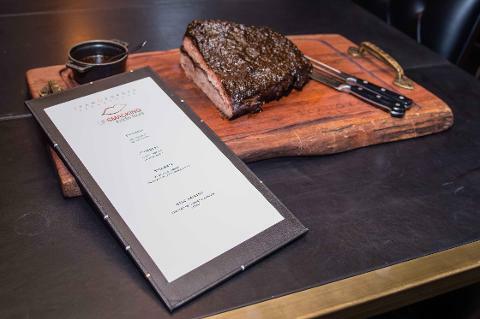 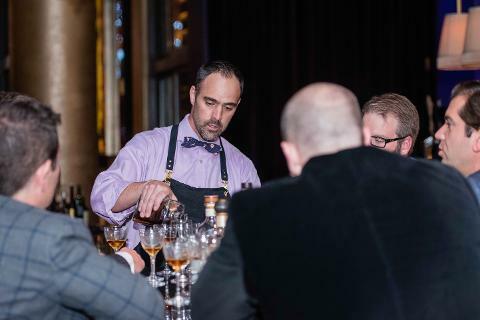 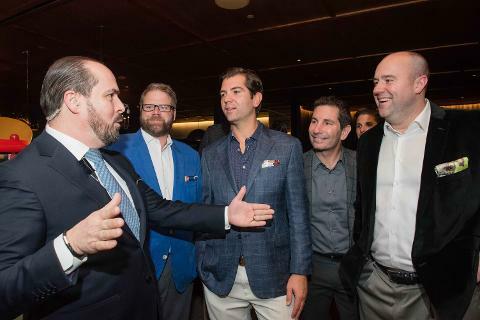 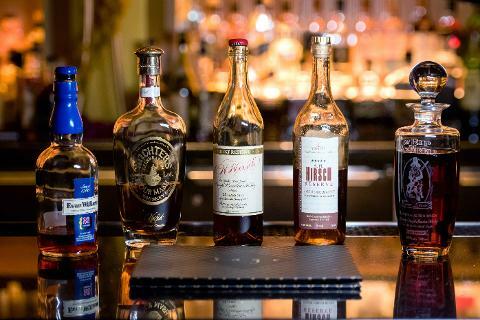 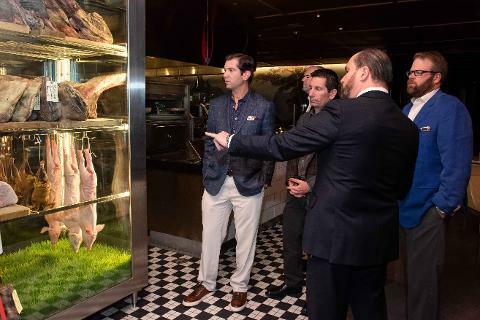 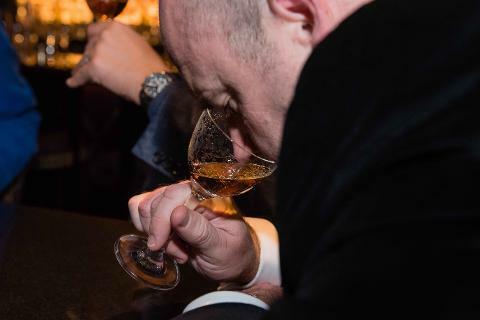 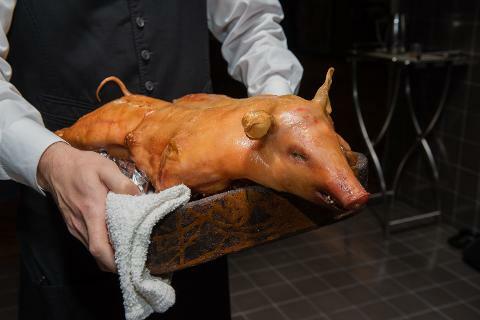 For more opulence, the Ultimate Steakhouse Tour also can be further customized and tailored to include a private tasting of bourbons, scotches or specialty cocktails. 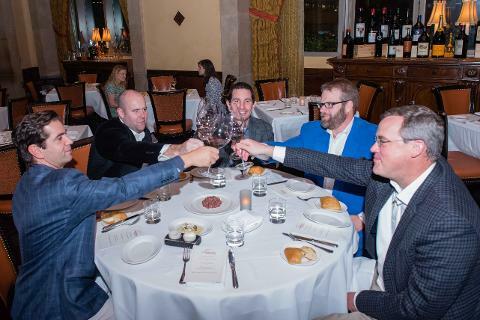 Looking to book the Ultimate Steakhouse Tour? 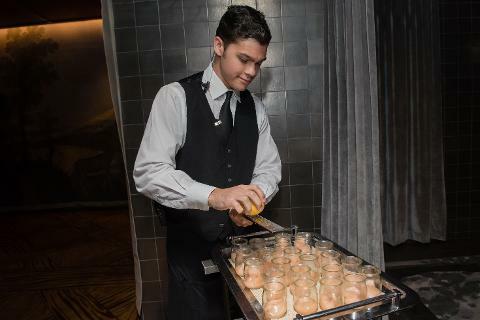 Email Info@VegasFoodieTour.com to request more information.